Place the almonds into a food processor and blitz until they are finely ground. Add the chia seeds, dates, coconut oil, cocoa powder and orange zest and blitz until the mixture is completely combined and holds together when you press a chunk together. Roll into tablespoon sized balls using your hands, then place in the fridge to cool for 30 mins-1 hour. 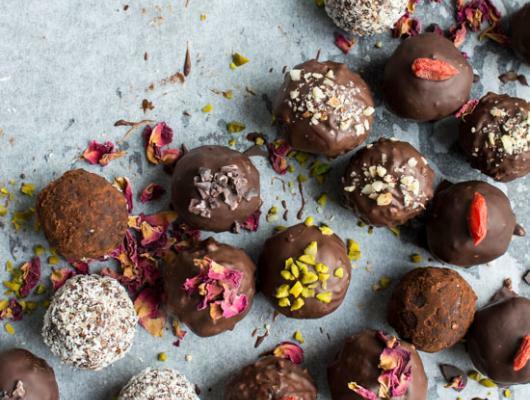 If you want to coat and decorate them, melt 100g of dark chocolate and roll each bliss ball in the chocolate then place on a flat baking sheet lined with parchment paper. Sprinkle on the toppings you desire, or leave them plain. Pop into the fridge for 1 more hour to set completely. 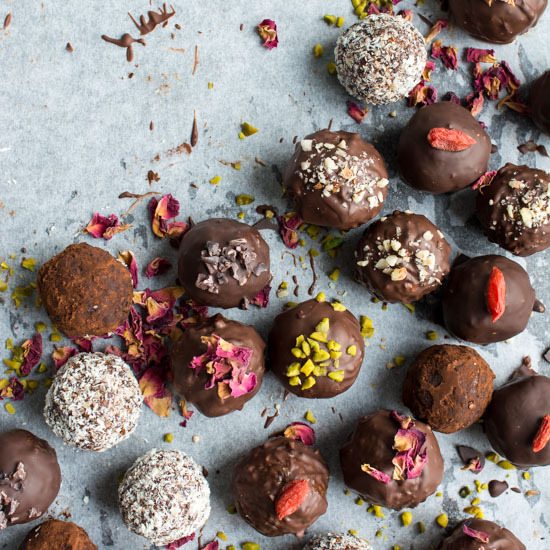 Vegan Chocolate Orange Bliss Balls, a healthy indulgent snack that would also make the cutest little gifts!